3 Subscribers onlyTropical fruits cooling off? Tesco and AMT Fruit are making retail history by listing a distinctive melon on the shelves of a UK supermarket for what is believed to be the first time. 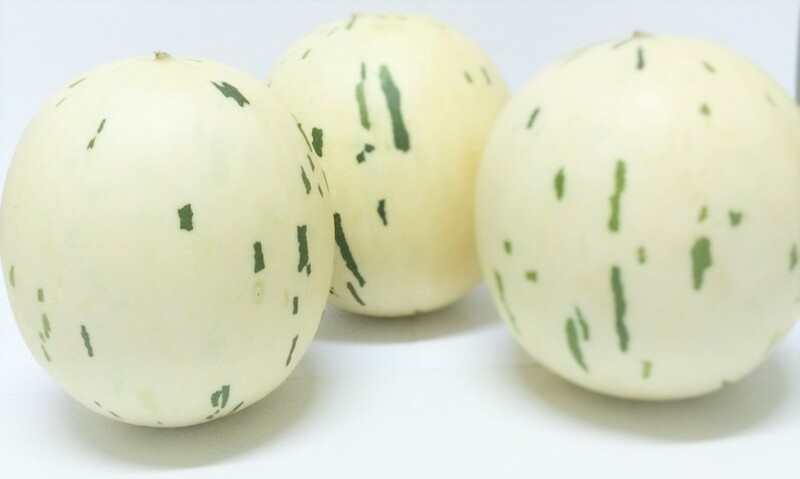 The Sweet Snowball Melon has been grown by the Tesco supplier partner Agricola Famosa in the north-east of Brazil, but its origins can be found in Korea. Tesco is launching it among selected stores nationwide, and it will be available throughout the festive season. Tesco and AMT are hoping that in years to come it will come to be as recognisable as traditional favorites such as satsumas and Brussels sprouts. James Cackett, Tesco melon and grape technical manager, said: "The Sweet Snowball Melon, so named because of its white skin, has been developed to offer consumers something a little different and unique this Christmas. The fruit offers a super sweet white flesh due to its high brix, and is identified by an eye-catching white with green-flecked outer skin.